The formal investigation of China’s former security chief Zhou Yongkang, almost ten months after he was last seen in public, makes compelling viewing. What is needed next is a financial sequel. Zhou is the highest-ranking victim so far of President Xi Jinping’s anti-corruption campaign. Beyond that, only two things are knowable. First, Xi could not have brought Zhou down without broad support among the ruling Communist Party elite. That should be good for pushing through other tough decisions. Second, nothing has really changed. The masses will hardly notice the retired Zhou’s absence. It might be different if Xi turned his sights on a more popular former leader, or the close family of an incumbent. In the long term, one thing would pay even greater dividends: uncovering the money trail. While Zhou’s alleged “disciplinary violations” may be behind him, money continues to pour out of China, through fake trade and underground banks. Overseas residential housing investment from China grew 84 percent in the first half of 2014, according to JLL, with London and San Francisco as the top destinations. As crackdowns loom, capital flight tends to accelerate, yet purges of the people who help the high and mighty break the rules are absent. Dismantling the machinery that supports graft will be more than a domestic affair. Foreign banks, financial advisors and lawyers will come under scrutiny. Regulators in the United States are already keenly focused on whether banks’ nepotistic hiring practices were a form of bribery. JPMorgan, the U.S. bank, is one in the spotlight. If China picks up the fight, authorities there ought to be more successful in uncovering any evidence that might sit within its own borders. Targeting the facilitators is important, because high-level officials like Zhou are the tip of the iceberg. The ex-security czar’s family and associates had 90 billion ($14.6 billion) of assets seized, according to a Reuters report in March, amassed over many years. Illicit flows out of China were 10 times that in 2011 alone, according to Global Financial Integrity, a U.S.-based think tank. Graft doesn’t just rely on bad people, but on bad institutions – and the Party isn’t the only institution that needs a scrub. 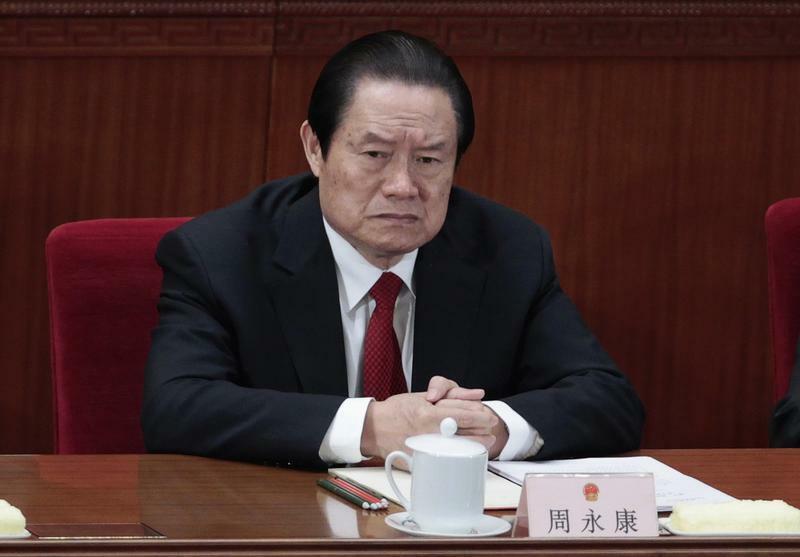 China’s ruling party said in a one-line statement on July 29 that it had launched a corruption investigation into former domestic security chief Zhou Yongkang. Zhou has not been seen in public since Oct. 1 last year. Reuters reported in December that he was under virtual house arrest. Before his retirement in 2012, Zhou sat on the Communist Party’s Politburo Standing Committee, effectively the country’s top decision-making body. Zhou spent five years as security chief, and was previously general manager of state-owned China National Petroleum Corp. Authorities have seized assets worth at least 90 billion yuan ($14.6 billion) from Zhou’s family members, and detained or questioned more than 300 of his relatives, allies and staff, according to a Reuters report in March. Zhou’s fall is the most high-profile corruption case since Bo Xilai, the former Chongqing party chief who was convicted for corruption and abuse of power in 2013. The official statement gave no details on Zhou’s alleged “serious disciplinary violations,” or of when they took place. Separately, the Party announced that it would hold the fourth “plenary session” of its current central committee in October, with a focus on the topic of rule of law.